Winner of CGC 2011 Prestigious Excellence and Leadership award (Ontario Region) is no accident. Winner of CGC 2011 Prestigious Excellence and Leadership award (Ontario Region) is no accident. Certainly we have proved our leadership that makes ABS entitled for this Award. CGCprizes for Excellence were awarded to regional geothermal heat pump projects which showcase both complexity & quality of installation and design. CGC bestowed awards for projects in three regions: Québec, Ontario & British Columbia. Seven (7) finalists competed during the last stage of the award process. The projects were evaluated based on originality, innovation, & technological advancement. Other criteria included technical difficulties encountered & solved in the project, the building owner commitment to achieve comfort for occupants & users, as well as other proven community benefits. Complexity of the work considering the nature of the building, financial constraints & demonstrated energy and economic savings were also among the judging criteria. Geothermal technology is growing in Canada & ABS Leading Eco-Friendly Group is among the leaders in promoting this industry. ABS delivered showcase projects in a region to help bring unique & innovative systems to the forefront of public attention in an innovative application. In just few years' time, ABS developed, designed & engineered one award winning and many notable and state of the art geothermal projects in Ontario such as our award winning project United Communities Credit Union Complex in Amherstburg, mid-rise City Square condo in Hamilton; mid-rise Haven Condo in Burlington; Animal Shelter Building in Alliston, Lake House in Burlington, 501 Alliance Commercial Office in Toronto etc. 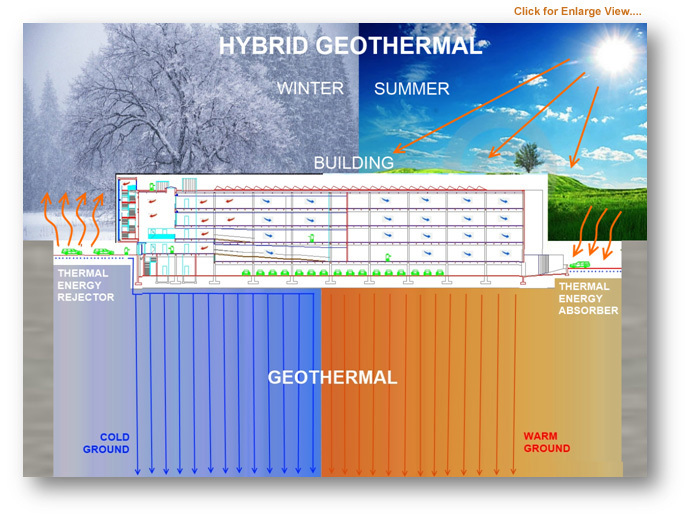 Presently we are working on several assignments with our clients to provide an innovative, unique, efficient and environmentally friendly Borehole Thermal Energy Storage (BTES) solution to resolve heat breaks issues in several well-known industries and Hybrid Geothermal solution for commercial and residential projects. These systems substantially save greenhouse gas emissions and energy by eliminating the need of chiller or air cooled DX system or fossil fuel burning products such as boilers. ABS Group of Companies clean & green geothermal solutions & methodology will make geothermal more easily accessible to existing buildings, located in dense urban environments. ABS believes that the way to make an impact was to have geothermal accessible to the structures most in need – the existing built environment. Outpacing even the transportation sector, buildings consume nearly 40 % of the World's energy and account for 50 % to 70% of all greenhouse gases. It's the critical heating and cooling function, of a building that is primarily responsible for its energy consumption. By tapping into the earth's free renewable energy the older buildings are able to significantly reduce their energy consumption, lower energy costs, reduce environmental impact& increase their asset value. Old existing buildings aren't the only structures to benefit from our innovative solutions. For new buildings under construction, using our solutions and methodology means that there is Zero (0) impact on project construction schedule, resulting in considerable time and cost savings. ABS-Leading Eco-Friendly Group of Companies day to day activities are primarily managed by Mr. Imran Majeed, who is the founder and Chief executive officer of the firms. 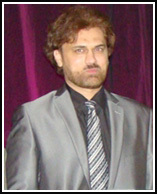 Mr. Majeed by profession is a mechanical engineer and has over 18 plus years of experience in mechanical engineering & Green Building Consultancy of facilities projects, aggregating over 100,000 Tons of cooling capacity, 45MWt of heating capacity & over $1billion total projects construction cost. Specialized in Geothermal technology, HVAC, Plumbing, Fire Protection systems & advance controls with 13 years dedicated to development & operations in the renewable energy sector including commercial, institutional, multi-residential & Industrial facilities. Due to his extraordinary performance in Postgraduate program he was awarded a President Gold medal. Due to his innovation & devotion to the green building industry, Mr. Majeed was awarded 2011-CGC Prestigious Excellence Award and received several Client Appreciation Letters. Mr. Majeed received his engineering license and professional designation P.Eng from Professional Engineers Ontario in January 2005, and received his Consulting Designation from Professional Engineers Ontario in June 2008. Mr. Majeed other credentials include LEEDAP, GeoExchangeAD, Green Building Engineer, Certified Design Side Management Professional & Certified Energy Manager.